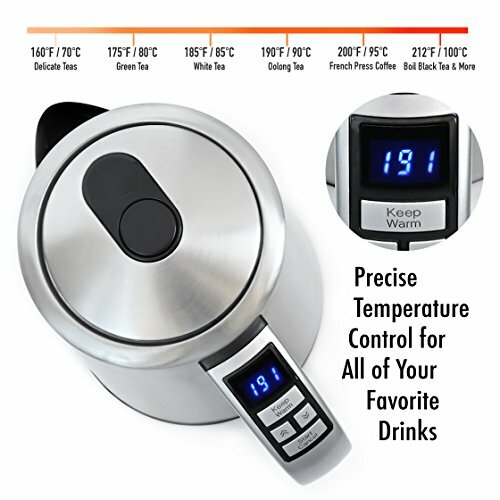 PROGRAMMABLE TEMPERATURE: Use the 6 touch control settings featured on the digital display of our electric kettle to program the temperature from 110°F up to 212°F depending on the type of coffee or tea you’re brewing up. & designed to save time, this variable temperature electric kettle is a coffee & tea drinker’s dream come true. 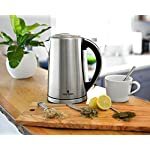 oolong tea, 200°F for french press coffee, 212°F “Boil” for black tea, instant cocoa, oatmeal, etc. 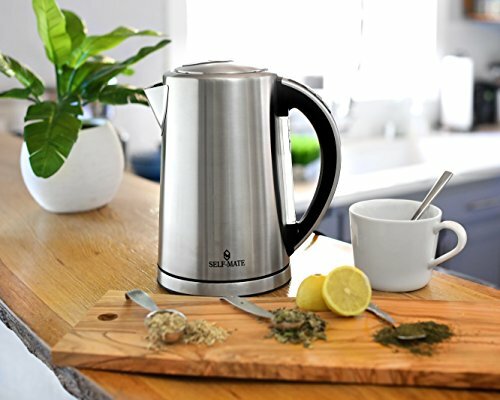 * You’ll love using our teapot kettle – We guarantee it! Boiling water has never been this easy or convenient. 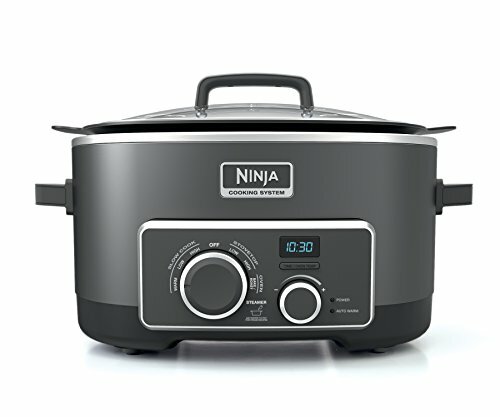 Do yourself a favor. Click ‘ADD TO CART‘ now! 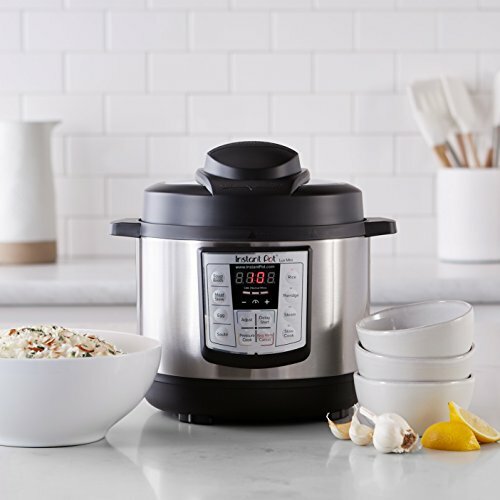 AUTOMATIC SHUTOFF FEATURE: For an added measure of safety, the stainless steel kettle automatically shuts off when the desired temperature has been reached. 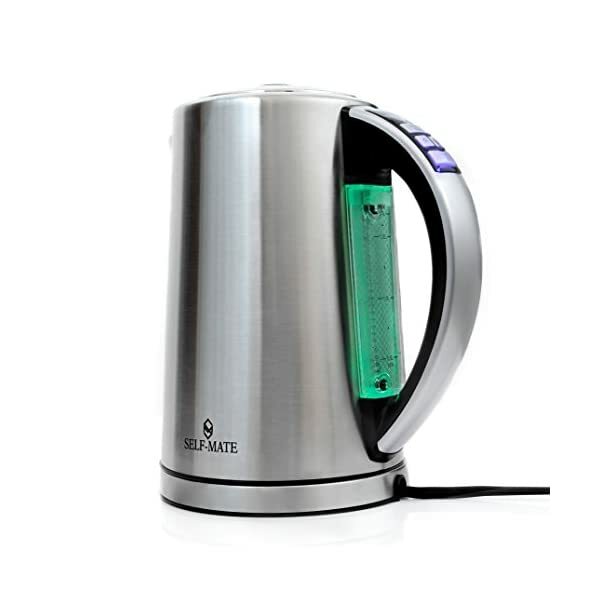 Equipped with British Strix thermostat controller that’s safer and most efficient than typical controllers. 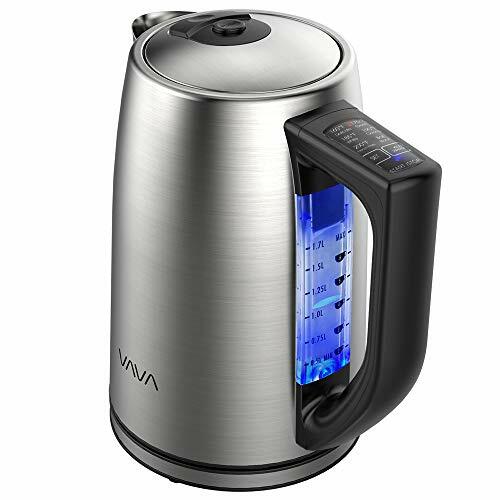 1.7L, 8 CUP CANISTER CAPACITY: With a 1.7 liter capacity & 1500 watts of power, this is one of the best coffee bar accessories for households & offices. 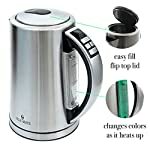 It can quickly & quietly boil 8 cups of water to make coffee, tea or hot cocoa. 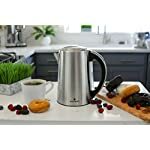 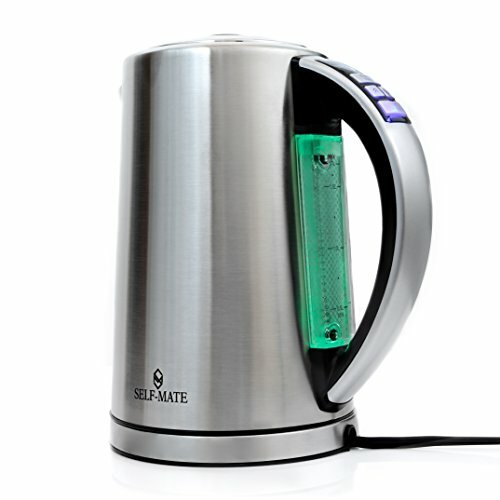 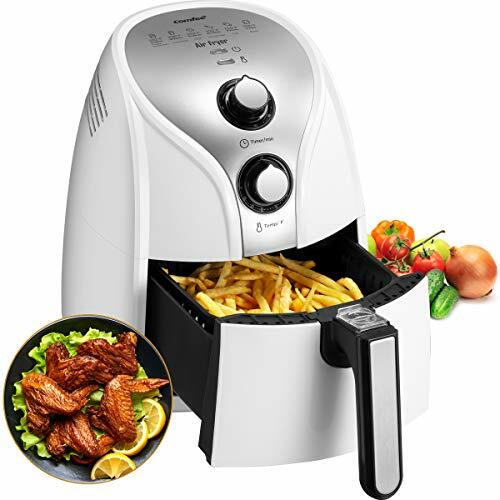 #1 COFFEE & TEA DRINKER GIFT: Self-Mate’s hot pot electric kettle is a thoughtful gift for coffee lovers & tea drinkers. 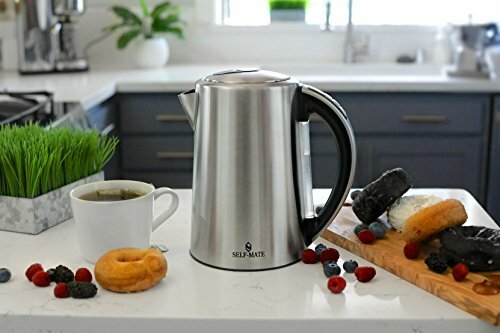 We’re so confident you’ll love this coffee & tea kettle, we’re backing it with a 100% happiness guarantee!